So every month we have a group of friends that gets together for our Girl's Night dinner or brunch! 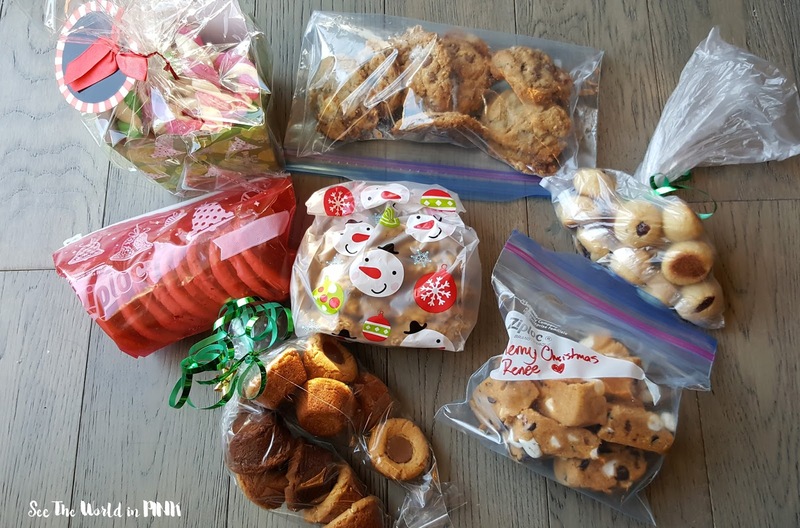 I especially love December because we do a big potluck Christmas Feast - it was delicious! We also do a Secret Santa gift exchange and this is what I got from my Secret Santa! 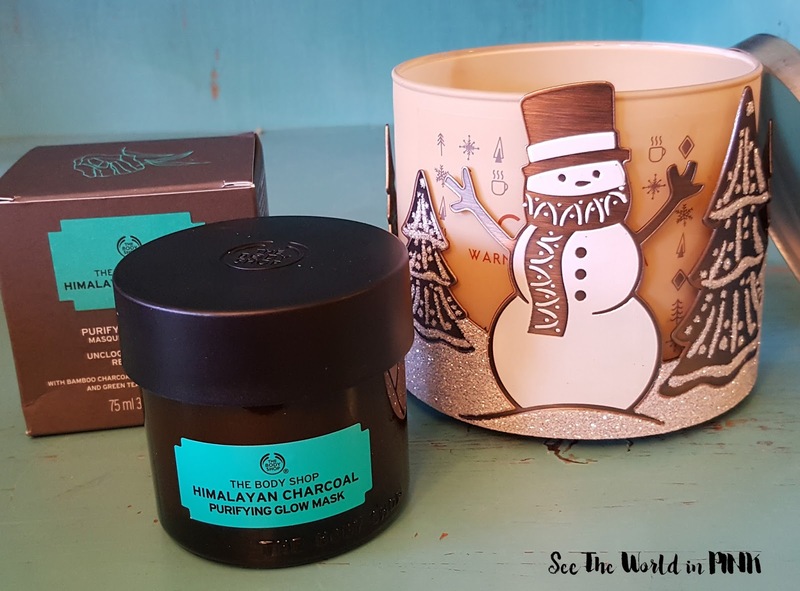 I'm so excited for The Body Shop mask - they have been on my wishlist for a while! And I got this Warm Cup of Cocoa Candle smells unreal!!! Yum! Along with our Secret Santa gift exchange, we also did a cookie exchange - and how stinkin cute are the cookies I made?! I'm not going to lie - making about 10 dozen of these was a long process; but, I'm so happy with how they turned out! I saw these on a baking show on The Food Network and had to try them out! 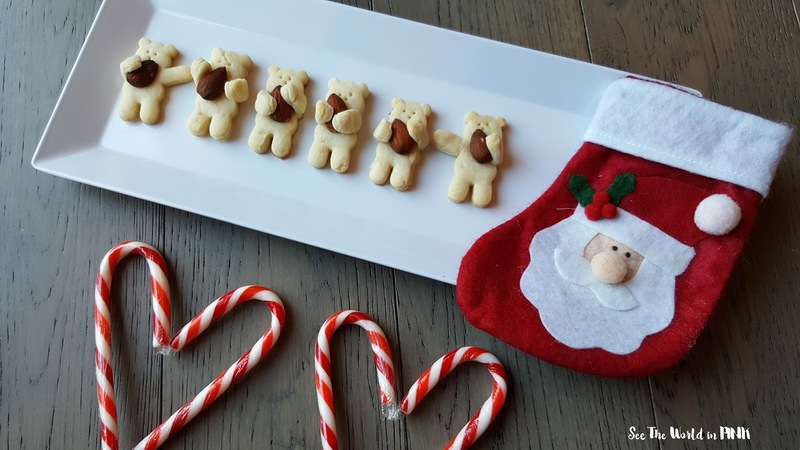 I ordered the special Huggy Bear Cookie Cutter from CheapCookieCutters and I used this Perfect Vanilla Almond Cut-Out Cookie Recipe from Chew Out Loud and it is delicious! I was so sad this week that we had to miss Elliott's last swim class! But, it's so cute they still make them little report cards even when they are 7 months old! Elliott's said that he did great and was good at splashing and putting his face in the water. Next, he needs to work on blowing bubbles! For January we actually signed up for a Mom and Baby Water Fitness class just so E is still in the water but I'm going to be exercising! 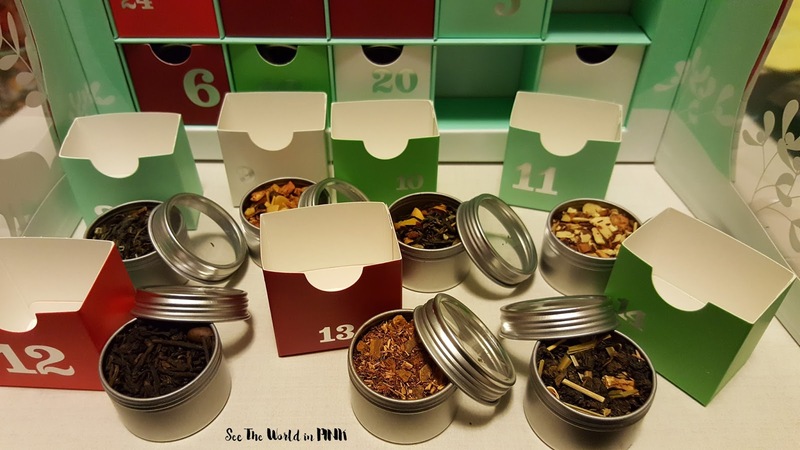 Time for a look at week 2 of my David's Tea Advent Calendar! Day 8 - Buddha's Blend, Day 9 - Forever Nuts, Day 10 - Walnut Orange Scone, Day 11 - Alpine Punch, Day 12 - Coffee Pu'erh, Day 13 - Organic Cinnamon Rooibos Chai, and Day 14 - Lemon Pound Cake! There was quite a few favorites in this week - I love Buddha's Blend, Forever Nuts, Cinnamon Rooibos Chai and Lemon Pound Cake! 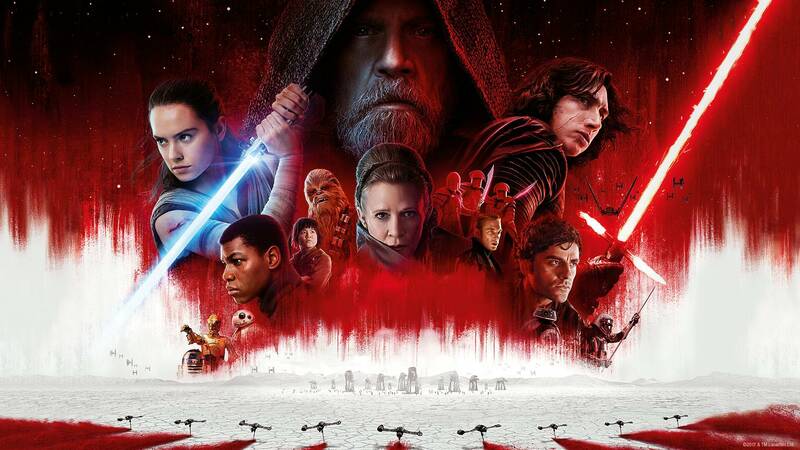 Okay, who else is excited for Star Wars: The Last Jedi?! If you told me a couple of years ago that I would really get in to these movies, I would have laughed. But, I loved The Force Awakens and Rouge One was great too - the story really pulled me back in and I love the characters! I was supposed to go tonight, but who can go to a 2 1/2 hour movie at 10:30 pm? Lol not me with a baby who is still up once a night and up at 6:30 am! I really want to see it soon - I'm hoping a Grandma will babysit over the Christmas break for us so I can go see it!